I was in Liverpool for work last week (yes I know, this Gidday Gal’s been getting around a bit of late) and as part of the conference agenda was a Brewery Tour. What? I hear you say. No Fab Four tour? No, but ours was a magical mystery tour of a completely different kind. 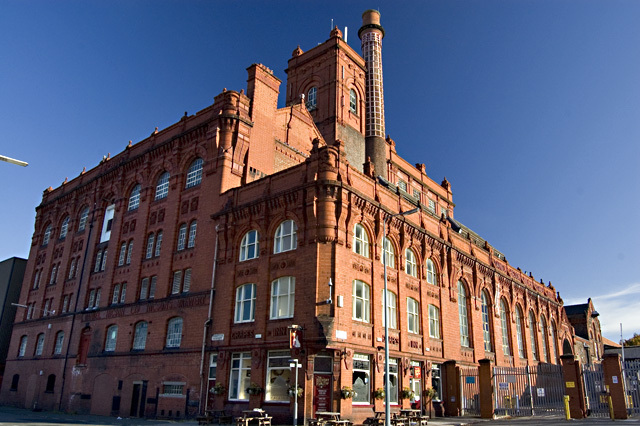 Cains Brewery was started by young Irish immigrant, Robert Cain who bought his first pub in Limekiln Street, Liverpool at the tender age of 24. In 1858, just eight years later, Cain’s hard work enabled him to buy the site on the corner of Stanhope Street where his brewery still stands today – and is the site of our tour. Twenty-five years later, Robert Cain was one of the wealthiest and most influential businessman in Liverpool, having built over 200 pubs Mersey-side (and a palatial mansion for himself) as well as a reputation for exceptional quality. Of beer I mean. I can’t speak for any of his other predelictions. In 1887, the year of Queen Victoria’s Golden Jubilee, Cain began work on the red brick brewery and ornate tower that still in use today (I can attest to this personally) and remains a Liverpool landmark and upon his death in 1907 (at the age of 81) more than 3,000 mourners attended this ‘adopted local’ lad’s funeral. But it’s been a checkered past for Cain’s. During the 1900s, the brewery changed hands 5 times. A merger with Walkers of Warrington in 1911 saw the newly formed business become one of Britain’s top 50 companies by 1918. Then in 1923, the Stanhope Brewery was sold to Higson’s. – Cain’s continued to flourish until Higson’s sold out to Boddington’s of Manchester in 1985. The company then faced a further change of ownership 5 years later as Boddington’s divested its breweries to Whitbread who then closed the landmark brewery. 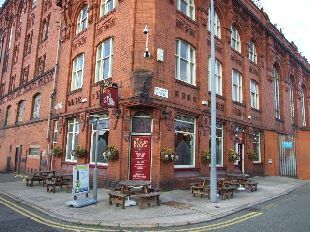 In 1990, the site was reopened by The Danish Brewery Group who renamed it Robert Cain & Co Ltd but despite brewing a popular Liverpudlian pint, in 2002 the business found itself on the brink of closure. The current owners, the Dusanj brothers, were inspired by the ethos and tradition of Robert Cain & Company and believing that success could not only be found for the product in Liverpool but around the world, mounted a rescue operation. Under their stewardship, Cains now brews more than 120 million pints a year and is one of the fastest-growing brewers in the country. 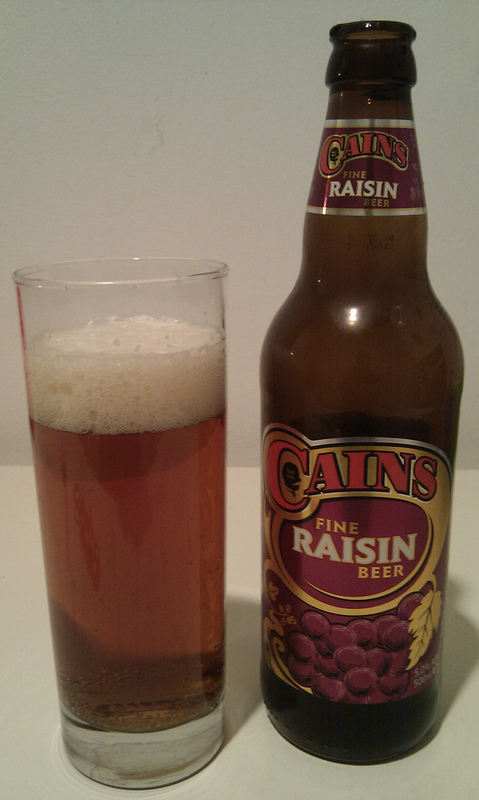 One of the innovations brought to market by the brothers is Cain’s Fine Raisin Beer which has won a few awards including Winner of Tesco’s Autumn Beer Challenge in 2003, “Beer of the Festival” at the 2004 Liverpool CAMRA Festival and “World’s Best Fruit Beer” at the World Beer Awards in 2007. So I tried it – well it seemed rude not to – and quite liked it. Although it does not taste like raisins. Whether this is good or bad, I will leave you to decide. In true immigrant-made-good fashion, Robert Cain had become a legendary brewmaster, married the Liverpool Lord Mayor’s daughter (he’s a mover and shaker that one) and was enobled as Lord Brocket (although what he would have made of his great-great grandson’s antics on I’m a Celebrity… in 2004 we’ll never know!). The Brewery is open to the public for tours and apart from the history lesson, you get to see how all that lovely beer is made and then get yourself a little tipple or two on the house at the The Brewery Tap which adjoins the brewery. Not bad for £7.99 eh? This entry was posted in A Traveller's Life, Australian Abroad, Expat moments, Life in the UK and tagged Cain's Brewery, Cain's Raisin Beer, Life in the UK, Liverpool, Robert Cain by Kym Hamer. Bookmark the permalink. Jack I think independent anythings are wonderful…wine stores, grocers, butchers (although I don't notice these so much now I don't eat red meat), bakeries…the list goes on. They take me right back to my childhood when I went with Mum or Oma to the continental delicatessan in Zillmere (suburb of Brisbane, Australia) and I would gaze in wonder through the glass cabinet. I can still 'smell' that little shop! Thanks Charlie. I've been to the Beefeater gin distillery near Vauxhall station but everyone agrees with you, that I would enjoy a Scottish version despite my not liking whisk(e)y! So on the list it goes. Let's hear it for independent brewers. I grew up in Wandsworth, South London. The town centre was dominated by Young's Ram Brewery and its smell. Sadly, the site was closed in recent years, though Young's remains an independent brewer. Sadly, you no longer see the drays pulled by shire horses negotiating traffic along the South Circular as they delivered beer to local Young's pubs. For me, the smell is the best part of Breweries. And the freebies of course. If you're ever in Scotland, check out a distillery tour. They're excellent too.